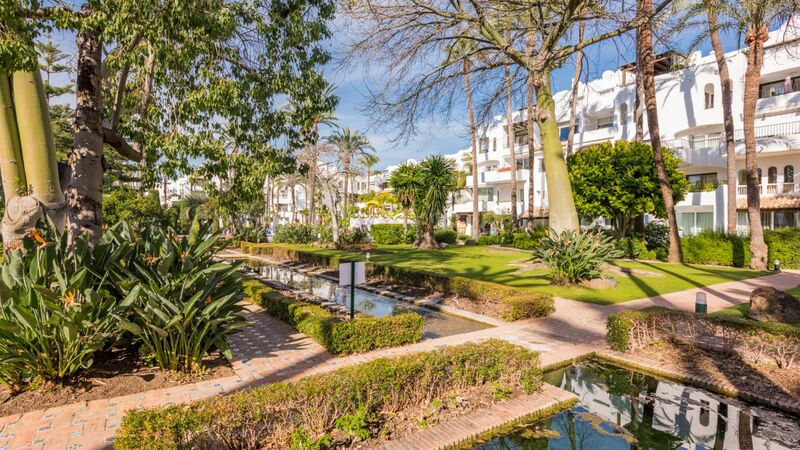 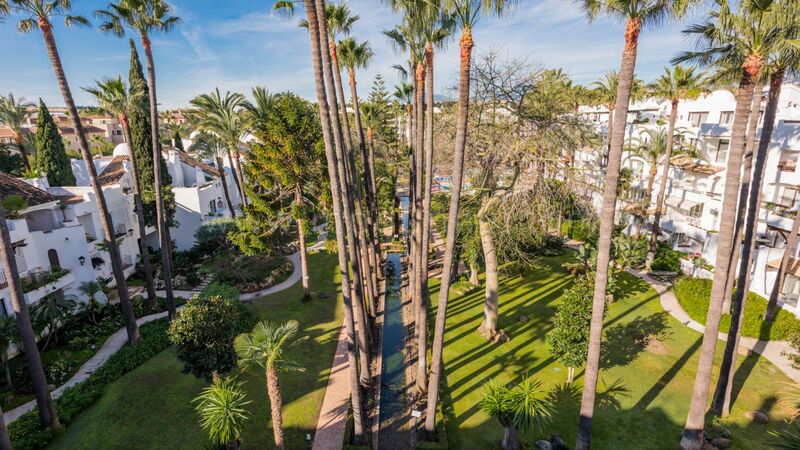 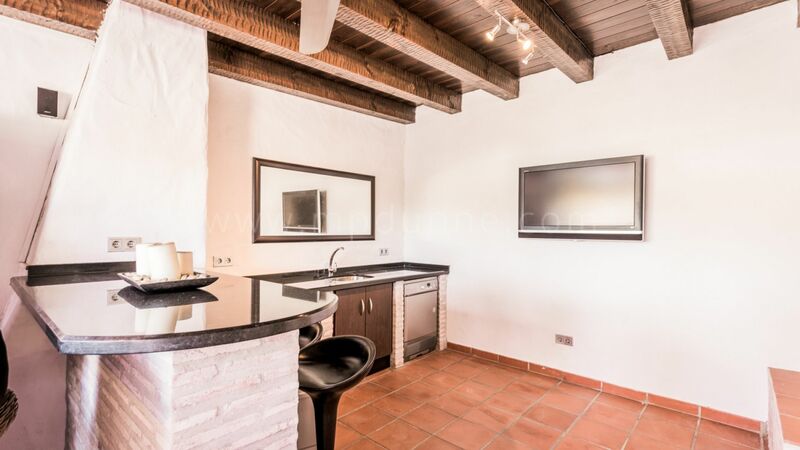 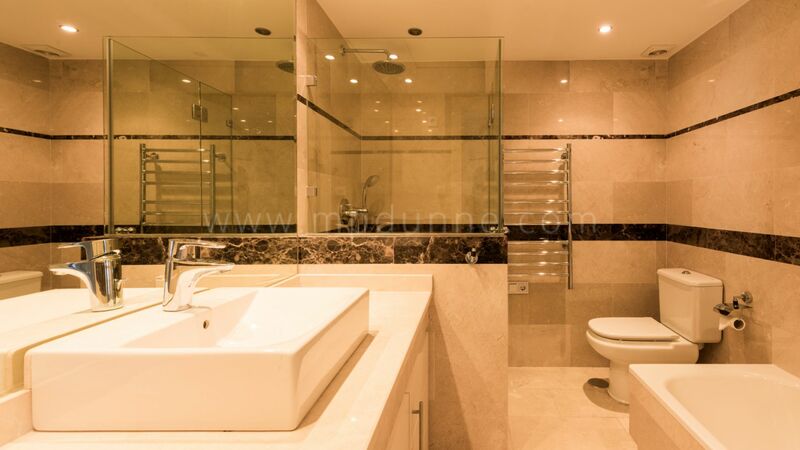 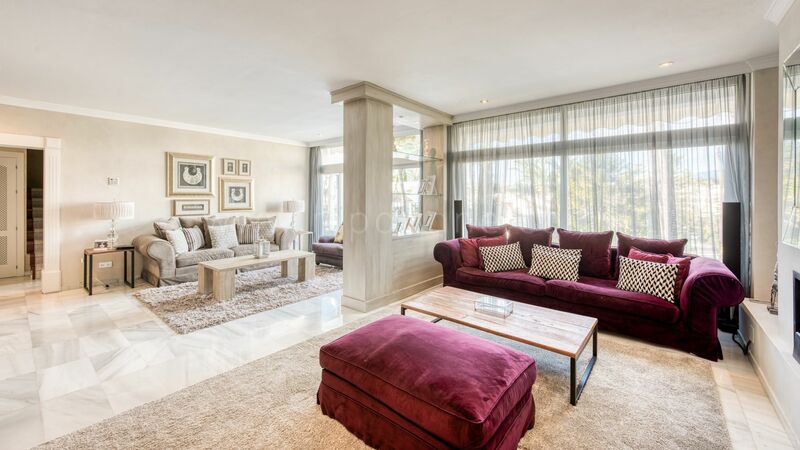 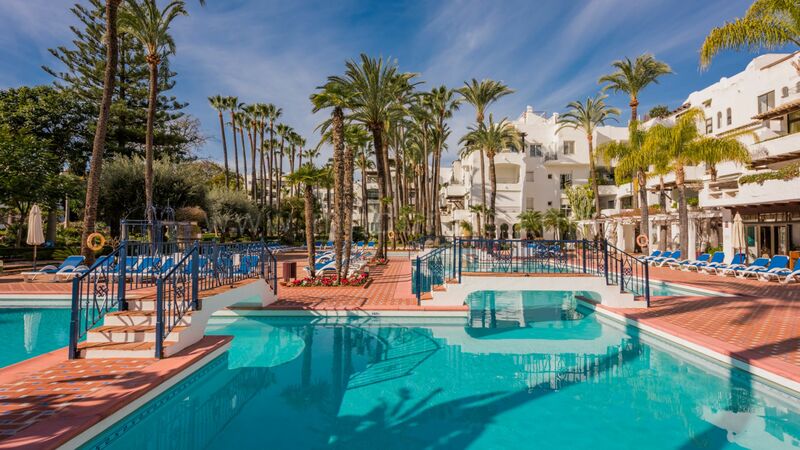 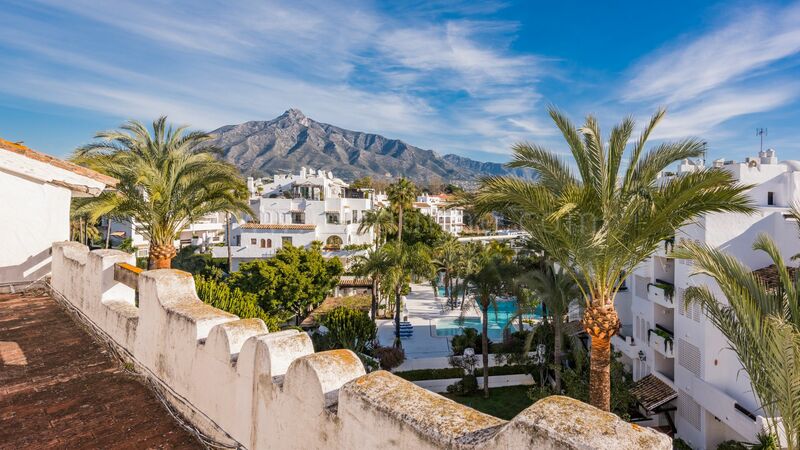 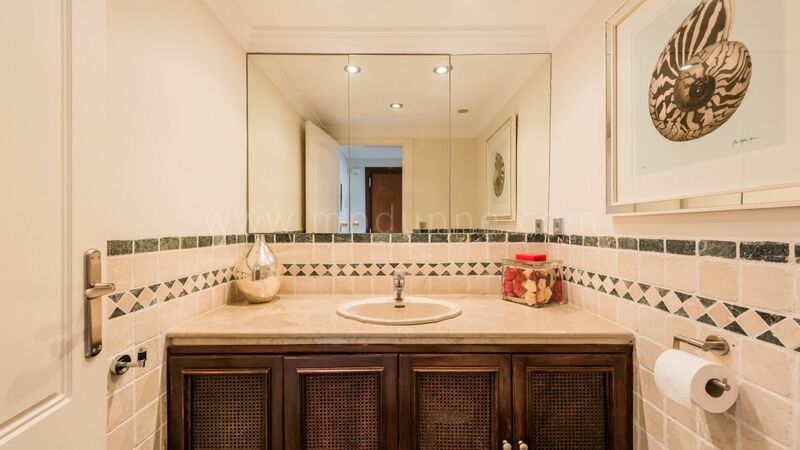 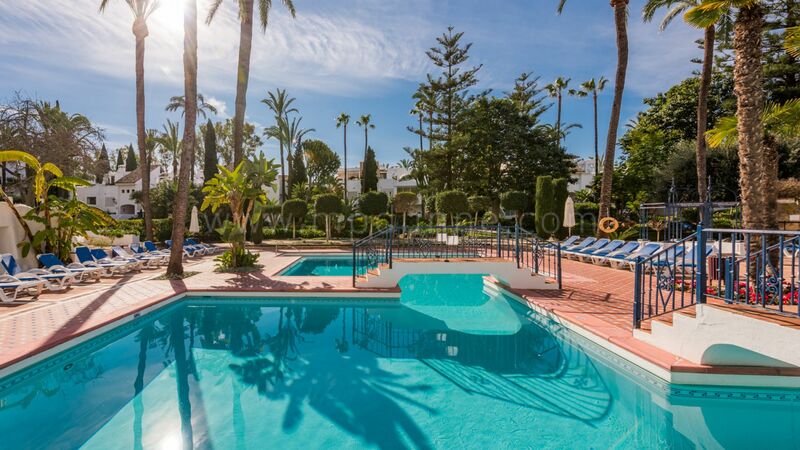 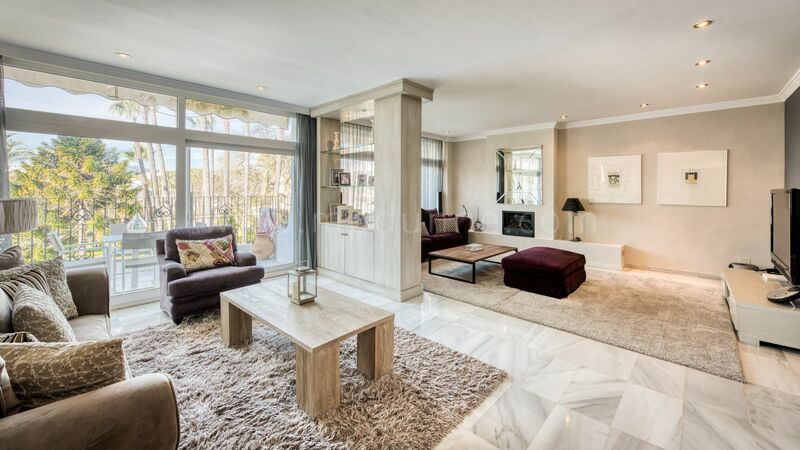 This is a fabulous penthouse within urbanisation close to Puerto Banus and the beach. 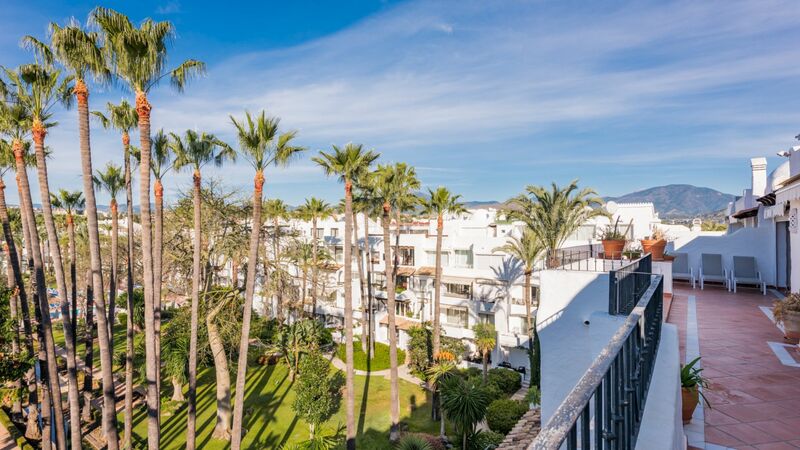 The penthouse consists of large open plan lounge and large kitchen with utility, leading out to a terrace and sitting area overlooking the pool and vast lush gardens. 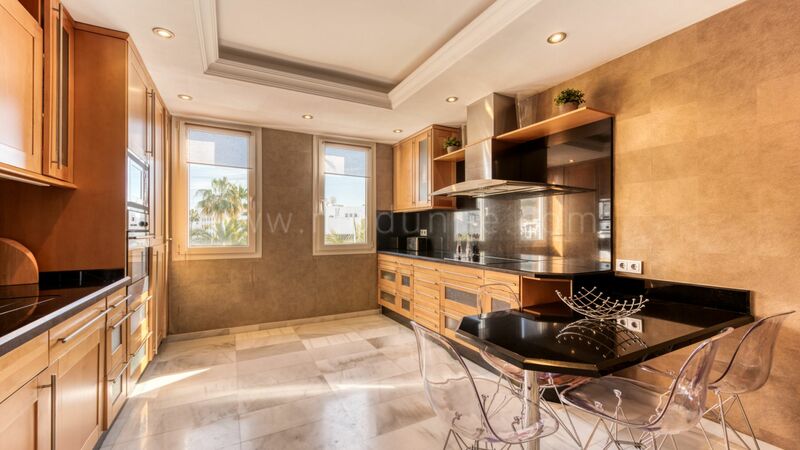 There are 2 bedrooms and 2 bathrooms on this floor. 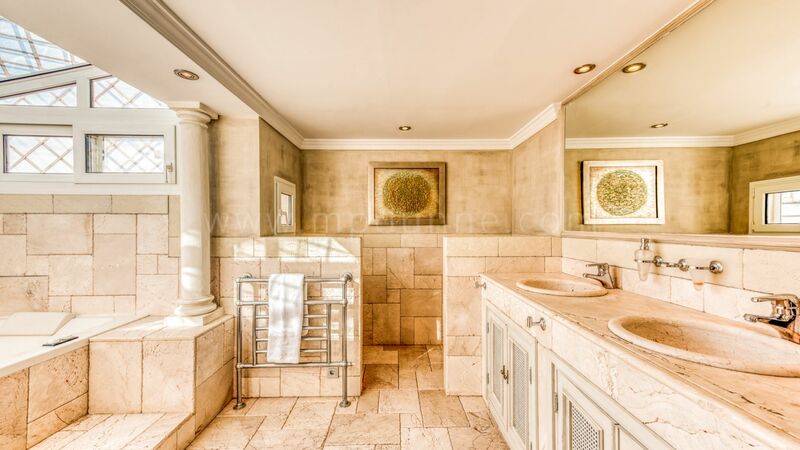 Upstairs is the large master bedroom with walk-in wardrobes and a beautiful master bathroom with a jacuzzi bath and steam shower. 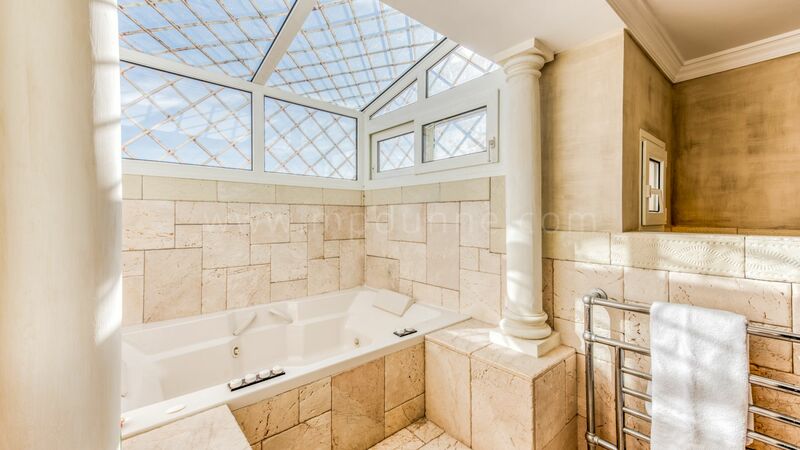 There is also a solarium with a jacuzzi and barbecue area with a complete bar and entertaining area. 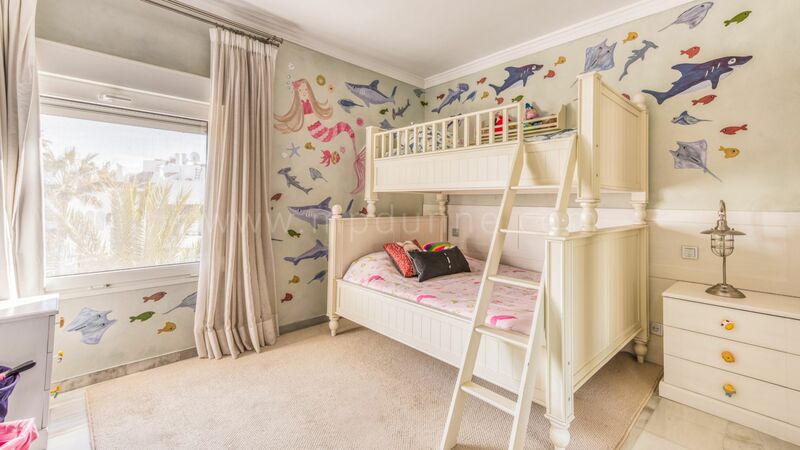 A parking space and a storage room are included in the price. 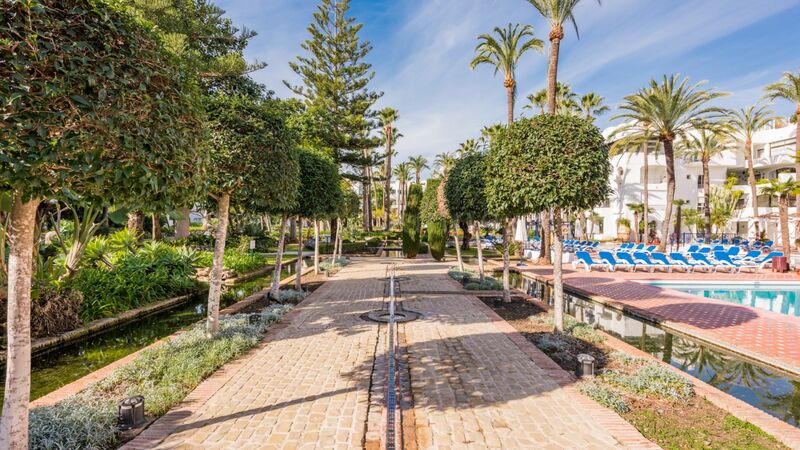 The community offers a gym, a spa and a restaurant. 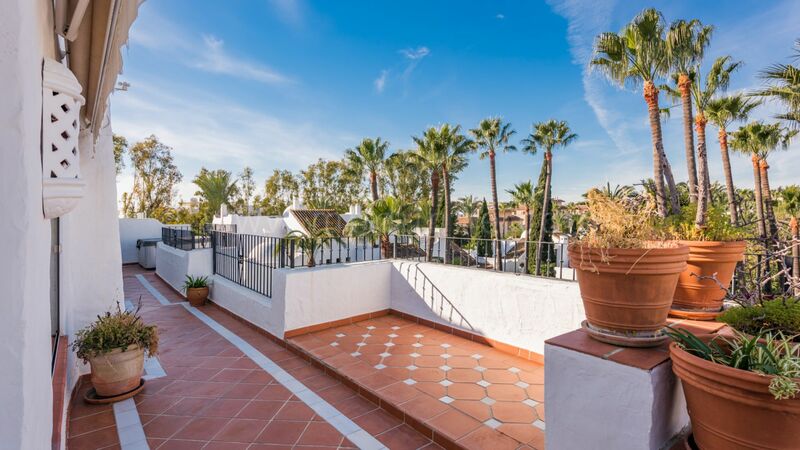 This property is a real gem and at this price an excellent buy.